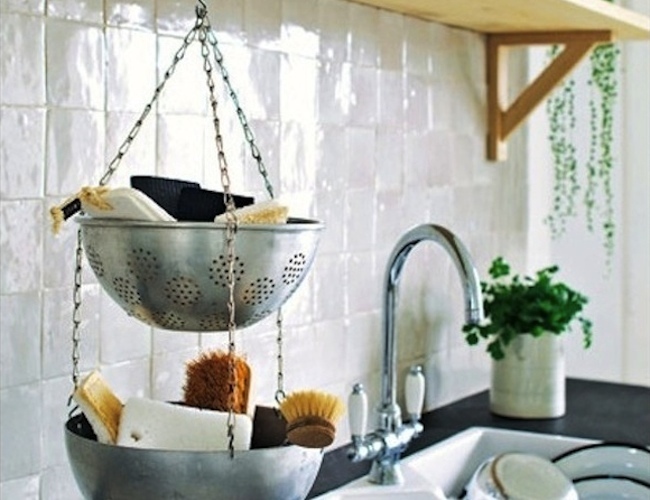 No doubt you have a colander or two in your kitchen, but if you spot one at a thrift shop or yard sale, pick it up! 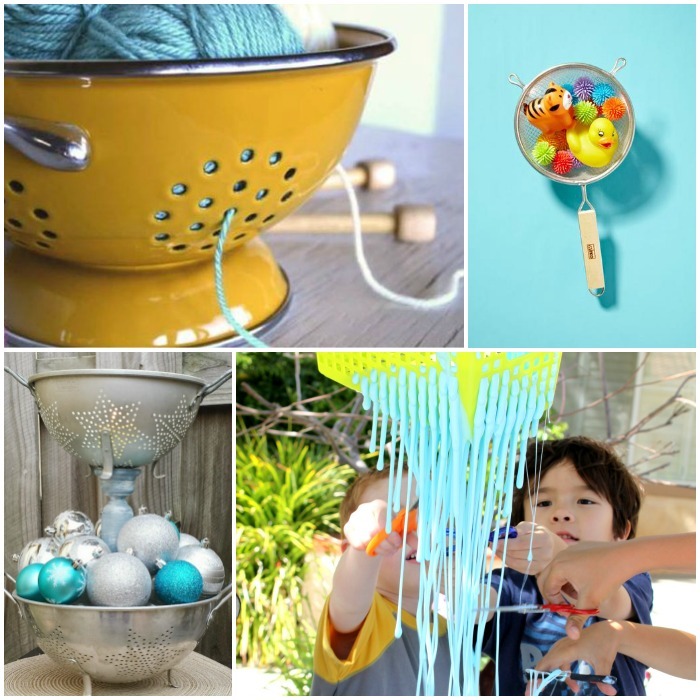 They’re incredibly useful in the garden, but with a coat of paint and a little imagination, a colander can make a beautiful addition to your decor, too. 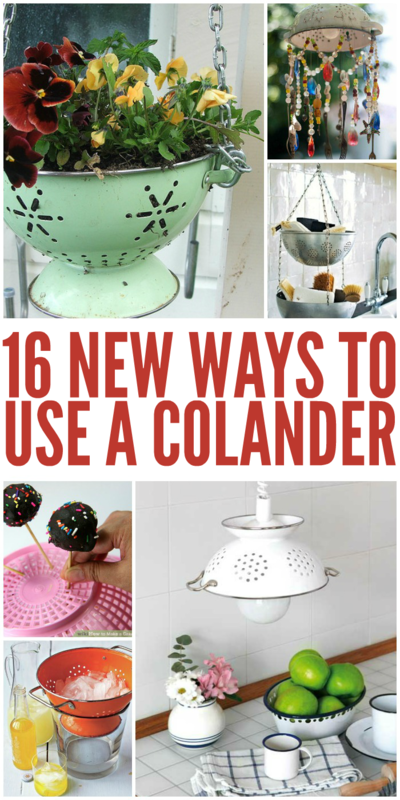 In fact, we’ve found 16 new ways to use a colander that we think you’ll love! And check out our post on ways to use spice racks while you’re here. Turn one into a chic planter. It provides great drainage, and with a coat of paint, can look very nice hanging on your porch. 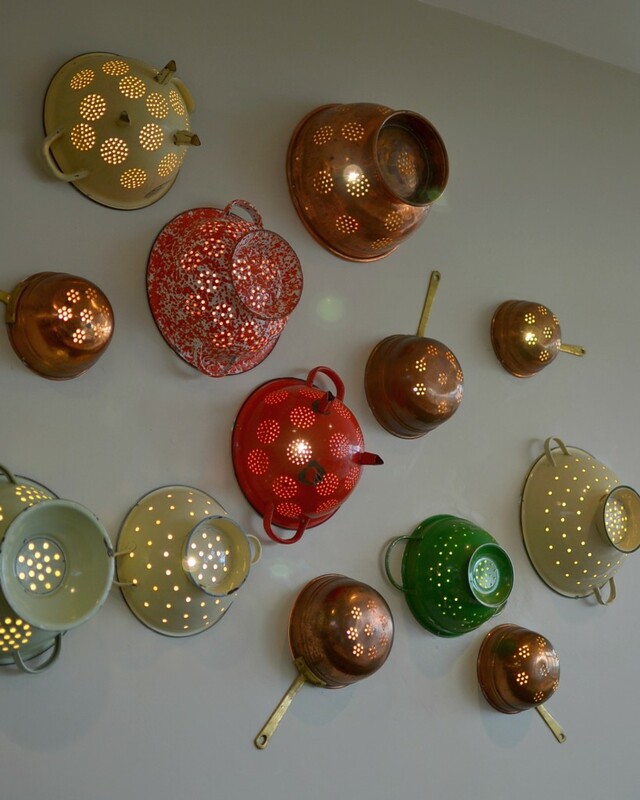 This wall of colander light fixtures is super cool! 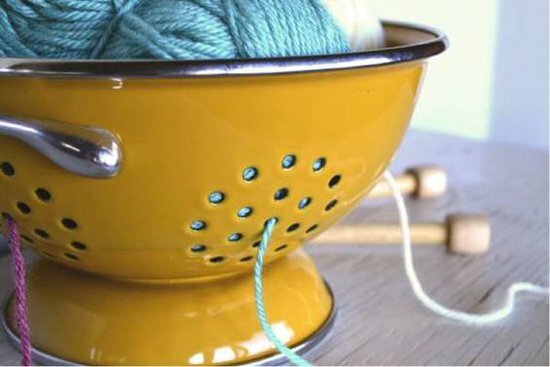 When you’re working on a project with several colors of yarn, thread each color through a hole in the colander. It keeps them from getting tangled while you work. 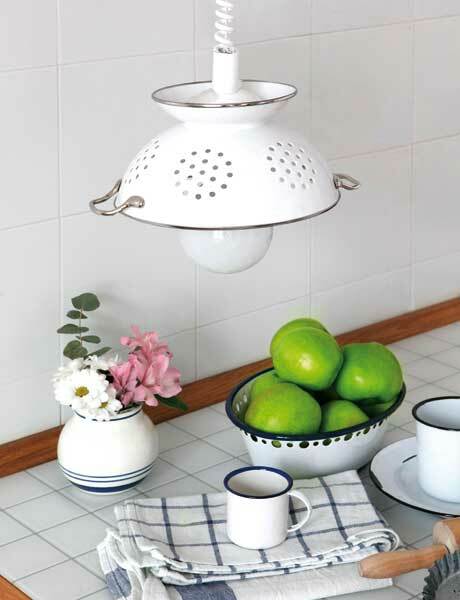 Turn a colander into a stylish lamp for your kitchen. 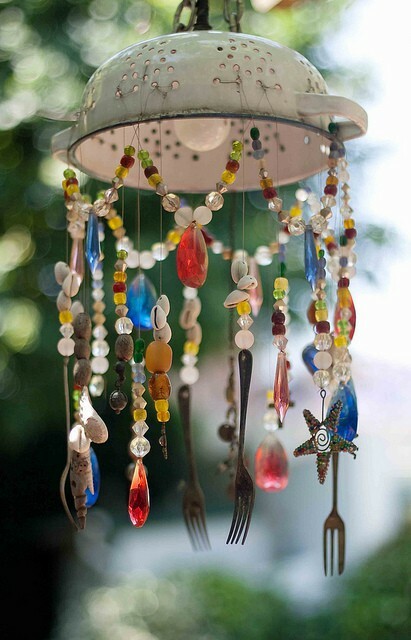 Make a tinkling wind chime out of a colander, beads and old silverware. I love how they sound on a breezy day! 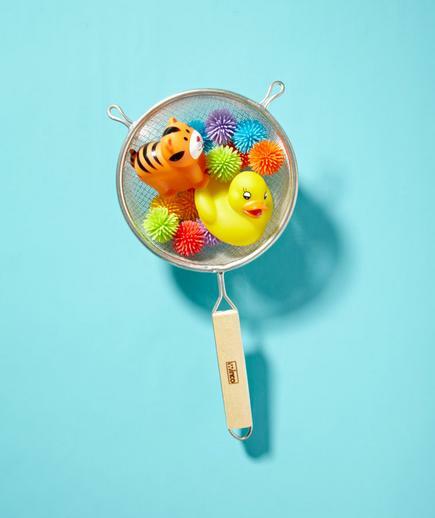 Wash your delicates in a colander. This is especially handy for fabrics that you don’t want to wring dry because they might stretch. 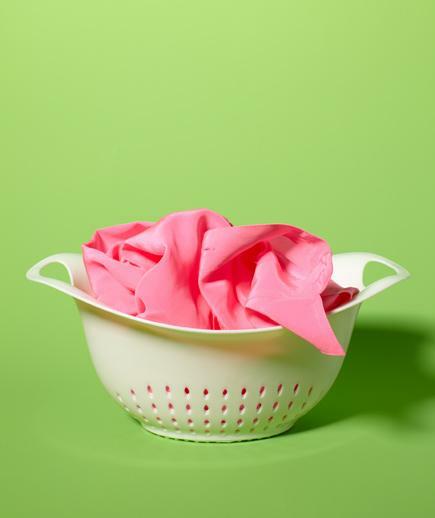 Need more laundry tips? 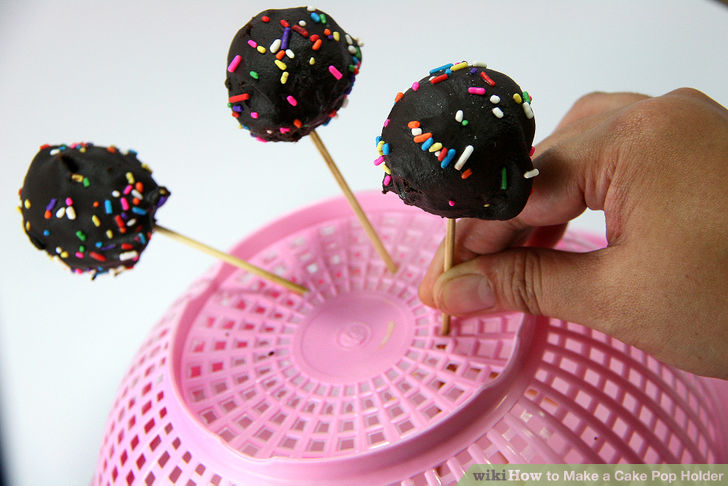 Display your cake pops at a party. So smart! 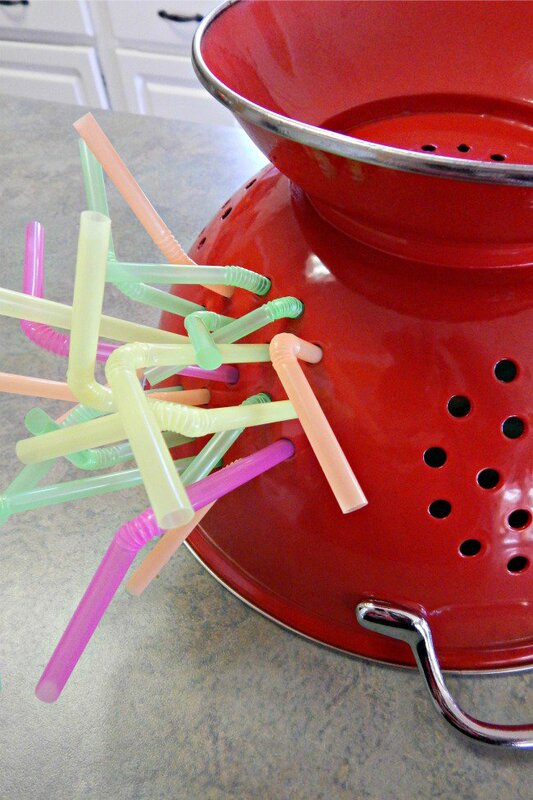 Put some straws and your colander in front of your toddler for fun fine motor practice. 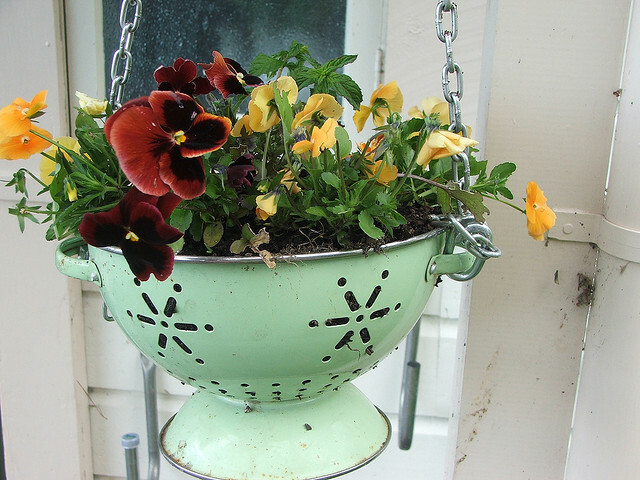 Turn them into hanging baskets for fruit, kitchen utensils, etc. 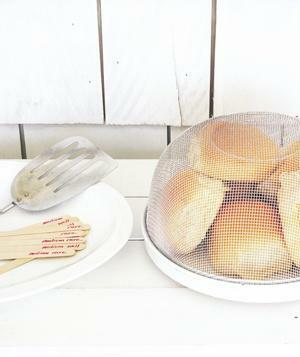 This uses a basket, but a colander will work just as well. 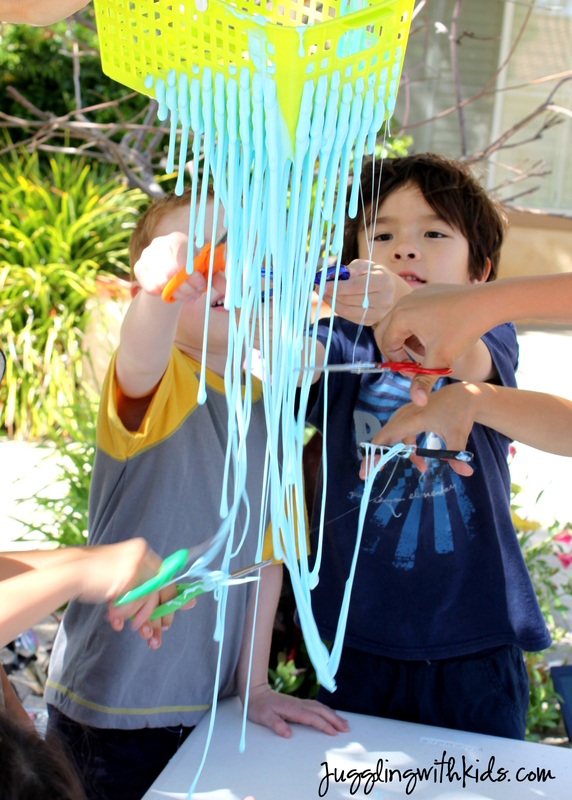 Hang it from a tree, put some flubber in, and let your kids get messy. Keep bugs away from your food when you’re eating outdoors. 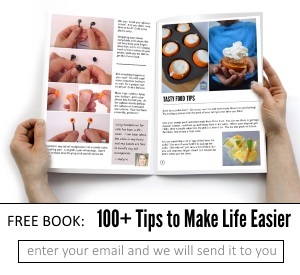 You’ll want to use one with tiny holes. 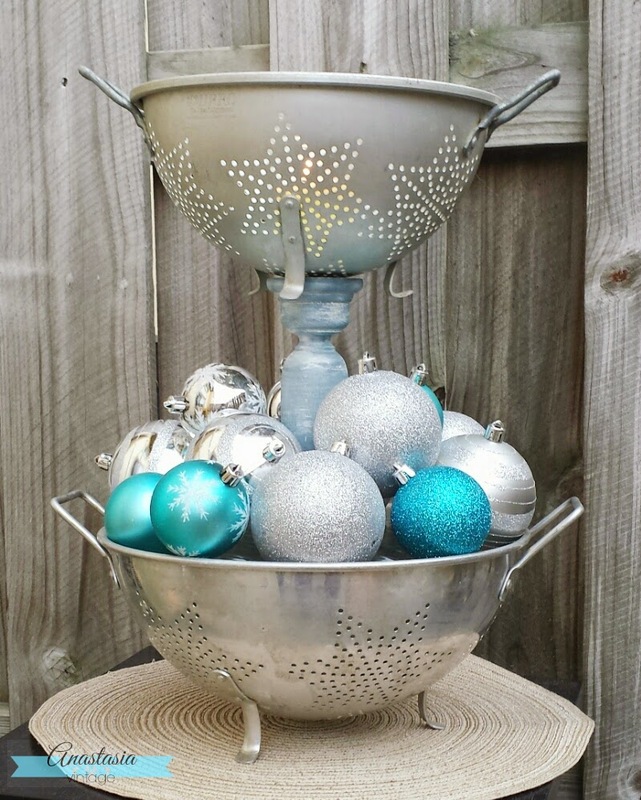 Make a tiered stand with two colanders and a candlestick. Farmhouse chic at its finest! 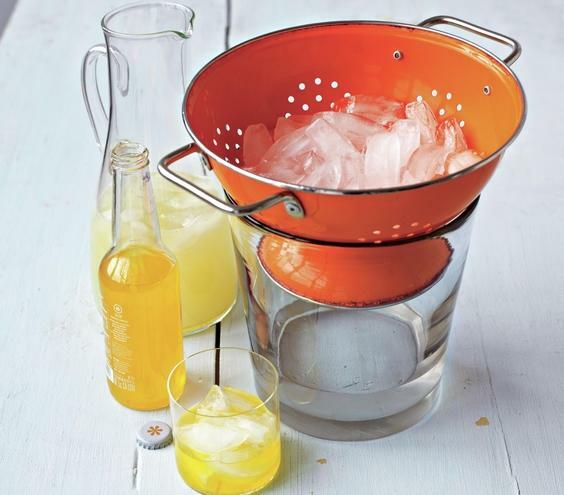 Put a colander of ice on top of your ice bucket. As the water melts, it will drain right off. That’s genius! Arrange a bouquet or centerpiece for your table. This would look lovely at a country-style wedding. 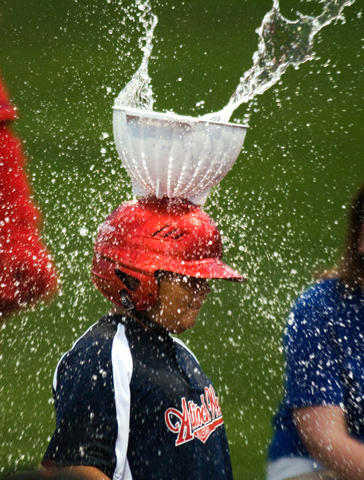 Here’s a fun idea for summer: Attach a colander to a helmet and try to catch water balloons. I’m recommending this one for our family reunion!